Denver Broncos General Manager John Elway was asked today about whether the team would consider signing former San Francisco 49ers quarterback Colin Kaepernick. In typical Elway fashion, the notion was swiftly shot down, as Elway told the media that Kaepernick had an opportunity to sign here and passed on it. Elway did not of course mention that the team asked Kaepernick to take a substantial pay cut. Elway’s mindset on Kaepernick appears to be similar to that of a high school quarterback, who gets turned down by a cheerleader as a sophomore and then proceeds to make passive aggressive comments about her until the day he graduates, but it is really not very surprising. As local beat reporter Nicki Jhabvala pointed out on Twitter, if the team had signed Kaepernick in 2016, the Broncos would not have had to deal with the circus that was created by rotating Paxton Lynch and Trevor Siemian over the last two seasons, but Elway is not in the business of acknowledging his mistakes. Do not get me wrong, Elway is a legend in the state of Colorado and as someone that grew up in a family with season tickets, I completely understand why the Broncos faithful tends to act like he is incapable of failure. This dude is a freaking icon and is more responsible for the Broncos’ success as a franchise than anyone besides team owner Pat Bowlen. If someone were to ever create a Mount Rushmore of famous Denver Broncos, Elway would have to be on there twice. Once in his football uniform and once in a suit to symbolize his tenure as GM, because without No. 7, there would be zero Lombardi trophies in Denver. That being said, Elway has made a few crucial mistakes since taking over the front office and not signing Kaepernick may be his greatest. Even more so, than a few of his questionable draft classes. Putting any political opinions aside, Kaepernick would have been a clear upgrade at the quarterback position, which was arguably Denver’s greatest weakness over the last two seasons. The instability at QB was an absolute disaster for this organization and most of that blame can be placed directly on Elway. Vance Joseph certainly did not help the cause in 2017, but Elway was who hired the guy in the first place and then decided to give him a second season with the team. Bringing in Kaepernick may not have made as drastic of a positive impact as bringing in Peyton Manning did in 2012 but literally anything would have been more enjoyable for Broncos fans than watching Lynch and Siemian battle to see who was the least incompetent that week. 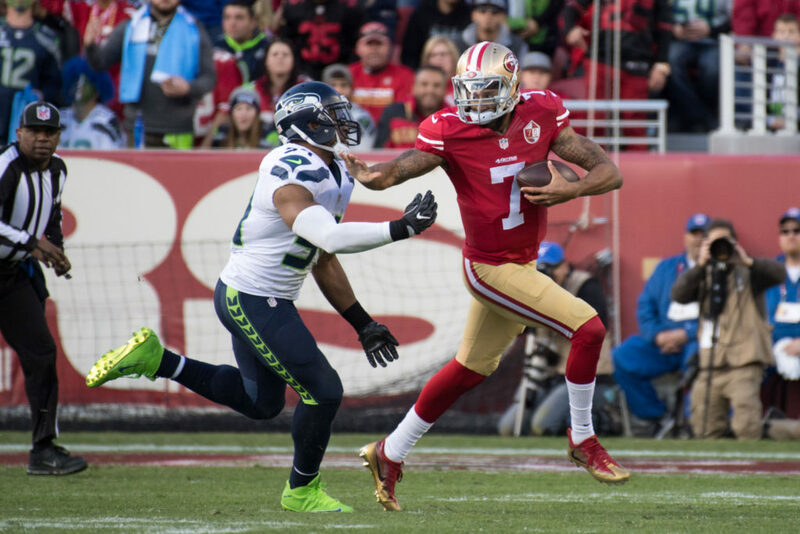 Kaepernick has completed 60 percent of his pass attempts over his career, led multiple teams to conference championship appearances and would been overwhelmingly supported by the locker room. Not signing Kaepernick was a massive mistake. It is as simple as that.